That’s why when Americans travel, they take American Tourister bags along for the ride. For generations, Americans have trusted American Tourister luggage. They’re more than just bags – they're an American icon. American Tourister’s newest collection, Applite 3.0, is all about functionality and style. Crafted from ultra-light and durable polyester, each case in the collection boasts a spacious main compartment equipped with packing straps and a large mesh pocket for organisation. 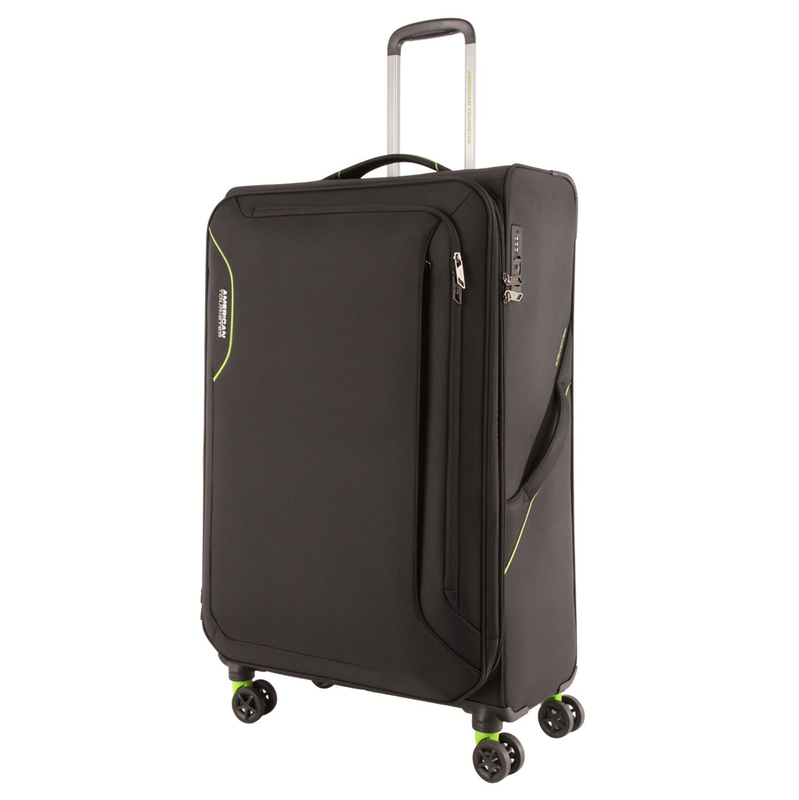 The front panel is equipped with two zippered pockets for smaller items, while the four spinner wheels and extendable trolley handle allow you to zip around in confidence. Four multi-directional 360 degree spinner wheels. Main compartment is equipped with a mesh pocket and packing straps for organisation. Two zippered pockets on the front panel. Dimensions: 36cm (l) x 55cm (h) x 24cm/28cm (w).